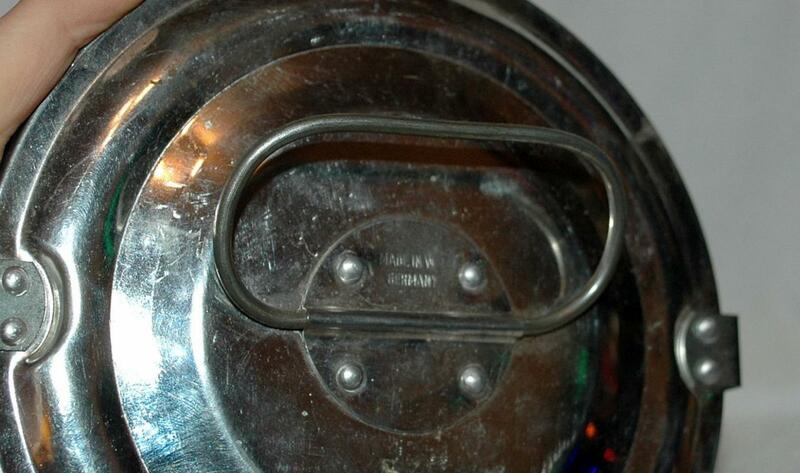 Old W. German Tin Steam Pudding Baking Mold with Clamp Down Lid. It is a little over 5" tall and across the top it is 6.75". The condition is very good. Both the clips are there. There are no real dents. 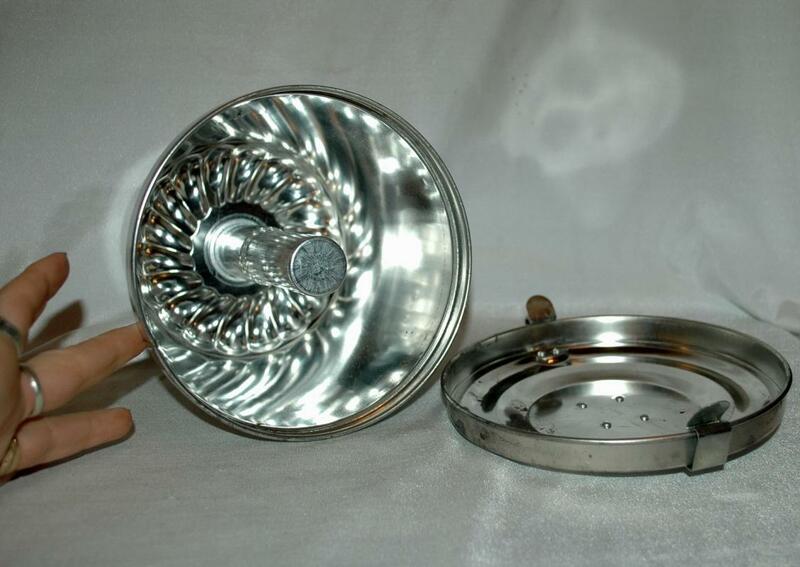 There is some tarnish that could be buffed out. Otherwise it is a great find on old bake ware. 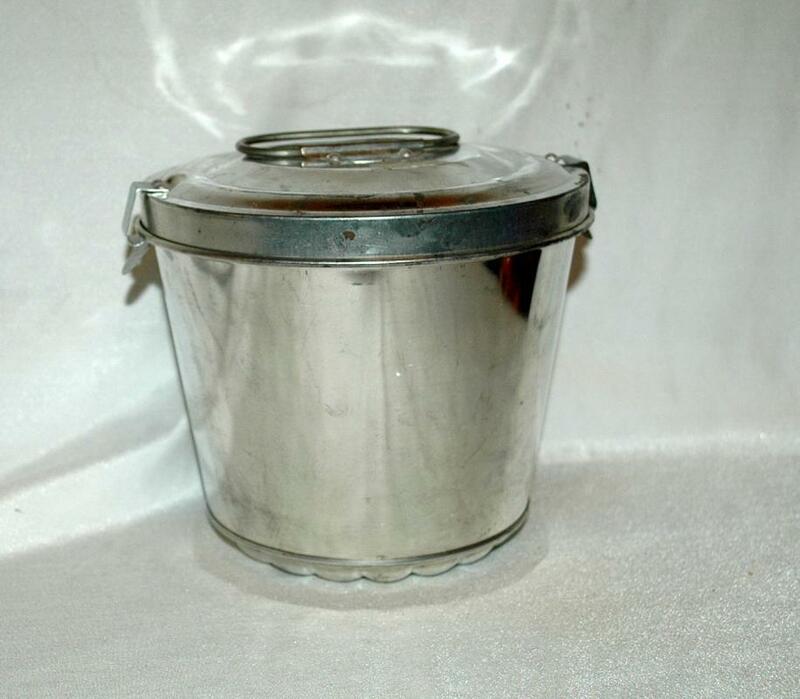 Items Similar To "Old W. German Tin Steam Pudding Baking Mold with Clamp Down Lid"